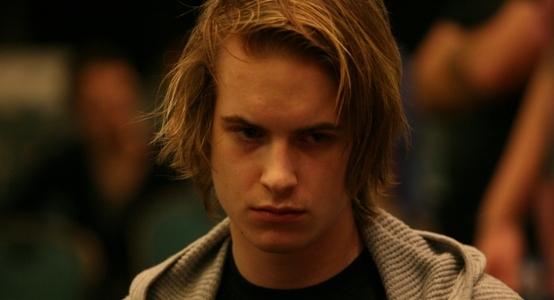 Victor Blom or “Isildur1’ is one of the best online poker players nowadays. He has won millions of dollars playing at online poker sites in a very small time frame.Victor was born in Sweden in 1990 and started playing games when he was 14. At the age of 18, Victor started check online poker sites out, professionally and has created history since then. Till date he has won more than $1,540,770, playing at online poker and at live games. Much of his earned money is from online. He has not made something Hugh by playing or participating at live cash games. The first time when Isildur1 played his game was back in 2009. As mentioned earlier the most of the earned money for Victor is from online but he has also done well playing at World Series of poker. Blom boasts total three WSOP cashes. 1st:- Secured 14th place and got a prize of $105,235 playing at $50,000 Poker Players Championship in 2012. 2nd:- Secured 14t6th Place and collected £33,582 ($51,806), playing at WSOPE London £10,000 Main Event in 2010. 3rd:- Placed at 151st position and received an amount of $2,706 at prize at $1,500 NLH in 2012. In 2012, he played at Deauville €5,000 Heads-Up got placed to 2nd position and collected €13,400. Again in the year 2012, he participated to 10,000 8 Max Re-Entry in berlin and booked for 7th position and collected €29,700 of cash. Victor Blom is known as one of the best online poker players in the world these days. During the months of 2009, he played some of the biggest hands in online poker history. Blom has defeated players like Tom Dwan, Phil Ivey, Brian Townsend, Cole South, Phil Ivey, and Patrik Antonius.